The New Forest LEADER Programme is accepting new Expressions of Interest but only until remaining funding is allocated as there is now very limited grant budget available. Please refer to the Applicant Handbook and the map opposite, to check that your business and project are eligible to apply. The Applicant Handbook also explains the application process. For further information and an Expression of Interest form (the first stage in the application process) please contact Sally Igra, LEADER Programme Manager, on 023 8028 5588. ‘LEADER’ is a method of providing EU Rural Development Programme grant funding at the local level via a Local Action Group. It aims to address lagging economic performance, and the resultant social and environmental problems that this causes, in rural areas. Businesses and not for profit groups can identify and develop projects to address these issues and apply for grant funding to support them. Rural businesses and communities in the New Forest benefitted from LEADER funding during 2002-2008 and again during 2008-2013. In 2014, as part of a competitive bidding process, a partnership of the New Forest Local Action Group (LAG) and New Forest District Council successfully bid for £1.43 million of funding from the EU’s Rural Development Programme for the period 2015-2020. 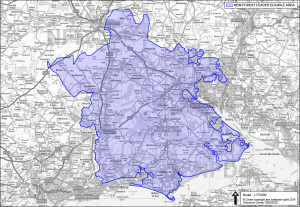 The New Forest LEADER Local Development Strategy formed part of this bid. This document set out the economic needs and aspirations for the rural areas of the New Forest and was agreed through extensive consultation with local businesses, not for profit organisations and partner agencies. Further information on the LEADER Programme and How to Apply can be found on this website.